Local designer started out making just about anything anyone wanted out of wood Woodworker and designer JoAnn Schuch at home in her shop. Schuch began her studies in art, transitioned to food, and fell into furniture and kitchen design after being dissatisfied with retail furniture designs and quality. Food, not wood, is how furniture and kitchen designer JoAnn Schuch earned her bread and butter while working in a high-end eatery in San Francisco in the 1980s. That is, until she began to spend her hard-earned cash on fixing up her digs. Schuch said she “covertly” took the measurements off a Morris reclining chair in the exhibition and went home to try to figure out how to build it. “I got the white oak for the chair milled at a lumber yard and with only a hammer, a chisel, and a dovetail saw I tried to reproduce the recliner,” she continued. “After a year of experimentation, reading books and getting advice from the oldest guys in the lumberyard, I finally had a beautiful chair that other people, surprisingly, offered to buy. 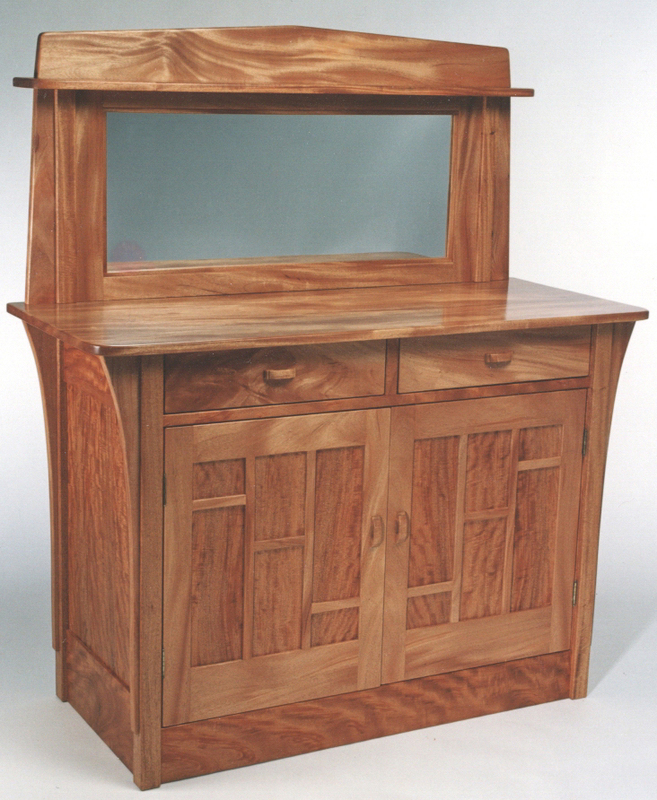 That was the start of my furniture business.” The sideboard is an example of Schuch’s work. The sideboard is an example of Schuch’s work. Schuch said that putting together a piece of furniture or a kitchen project is like solving a puzzle. 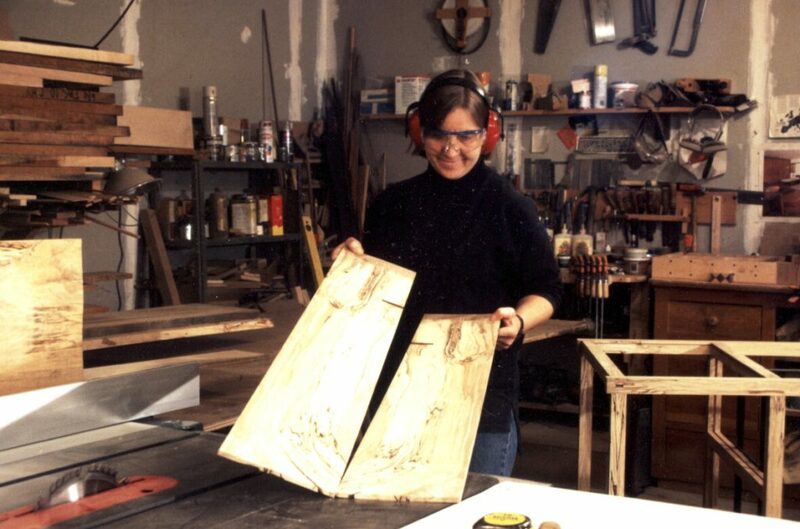 “I actually credit my background in art for giving me the courage to be self-taught as a woodworker, and to venture out in a new design business,” she said. 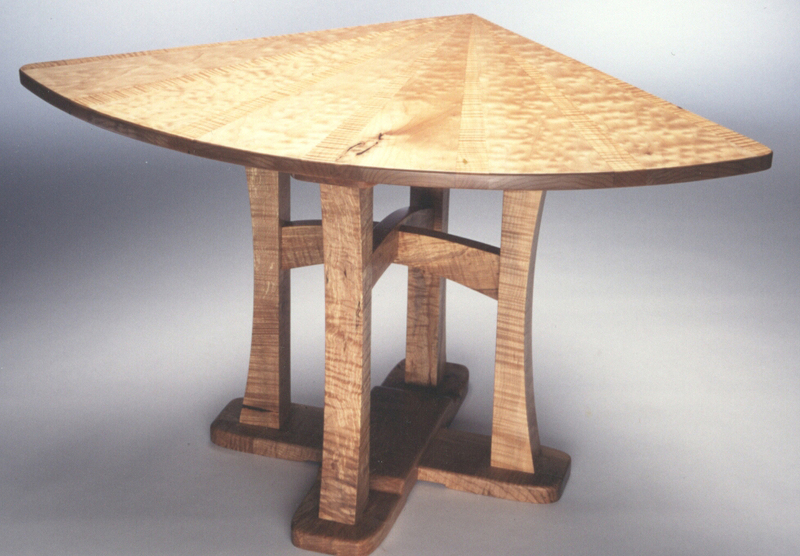 “Art is all about creating something from nothing.” The Pacific Maple table is an example of Schuch’s work. 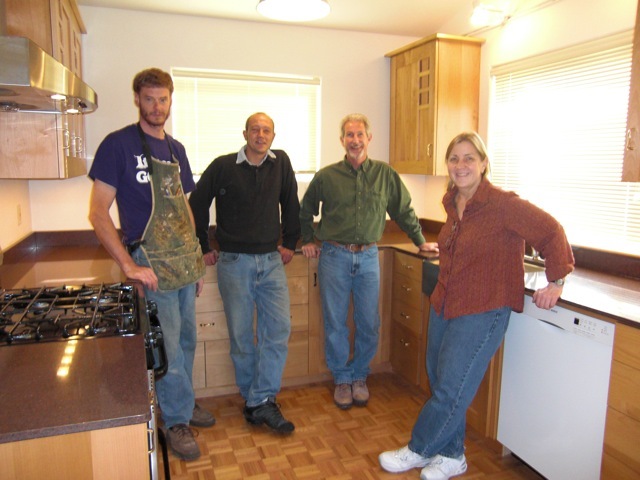 Over the years, Schuch said she built many kitchens by herself for clients here in Humboldt County and the San Francisco Bay Area. 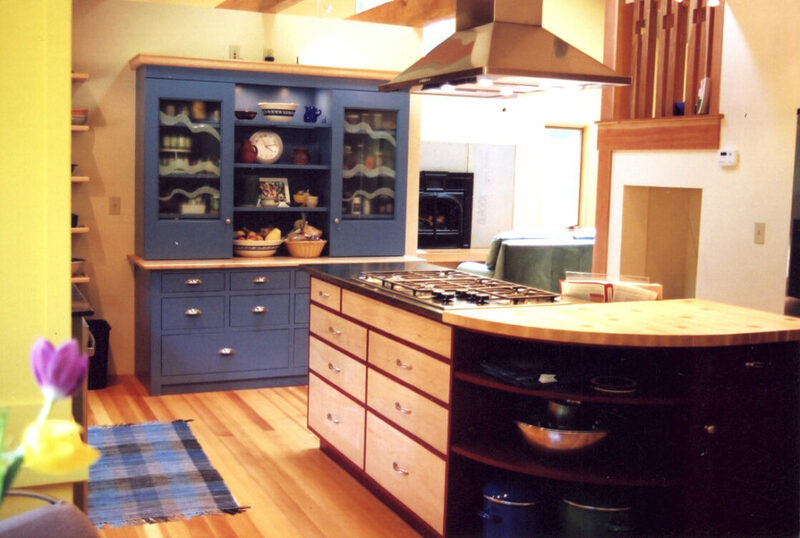 Her shop is small and soon she found that other cabinetmakers could more easily build the kitchens she designed. Once her own business was off and running, Schuch said she began helping other woodworkers do the same. Grants were written with the purpose of providing marketing classes and assistance to woodworkers and other artisans. Through those grants a “Peer Consultancy” marketing class was developed, which Schuch said many have found beneficial. Schuch can be found teaching the occasional class on woodworking and furniture building at Almquist Lumber in Arcata, and she credits the staff there as well as the woodworkers of Humboldt County in general for helping her become a successful designer. For beginning woodworkers, Schuch said there are great classes at College of the Redwoods in Eureka, and for the more advanced artisan, a well-respected program at College of the Redwoods in Fort Bragg. “The most important thing is starting out. You don’t need the most expensive equipment right off the bat, but get good tools,” she said.